MyUbby $50 Gift Card Giveaway: Enter to win! A MyUbby $50 gift card is a great way to find the best gift that will honor a new baby. 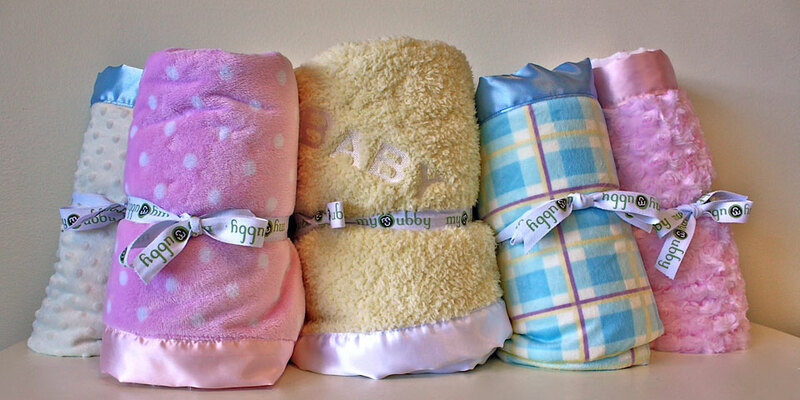 MyUbby has some of the softest baby blankets on the market. Have you ever searched for the perfect baby shower gift, only to never be able to find a gift that represented how much you care? Have you thought about providing a practical, yet personalized gift that can also later become a keepsake? Well, shopping for a MyUbby blanket is one of the best options because it gives the parents a soft cuddly blanket they can wrap their baby in as he or she returns from the hospital. The blanket can be used to keep their infant warm, perfect for photos, and can later be cherished as a keepsake or “blankie” for the child as he or she grows. The $50 Gift Card will allow to find the myubby blanket that will best represent you. Grand Prize: MyUbby $50 Gift Card for YOU and a FRIEND! Founded in 2007, myubby is an online retailer and manufacturer of custom blankets for everyone from new babies to adults. Building an ubby blanket is a unique experience as customers can handpick their favorite fabrics, colors, satin trims, embroidery threads and fonts, resulting in a one-of-a-kind blanket that is truly theirs. You can also find myubby on Facebook. The Giveaway will open up on Tuesday 7/7 at 12:01 am EST and Close on Friday 7/10 at 11:59 pm EST.